Just when things were looking up for ICICI Bank, the FIR filed by the Central Bureau of Investigation (CBI) against the bank’s former managing director (MD) & chief executive officer (CEO) Chanda Kochhar, her husband Deepak and Venugopal Dhoot, MD of the Videocon group, as well as companies related to them, has unsettled investors. Extending the weak trade on Friday, stocks of ICICI Bank and ICICI Prudential Life Insurance (I-Pru Life) came under further pressure on Monday. 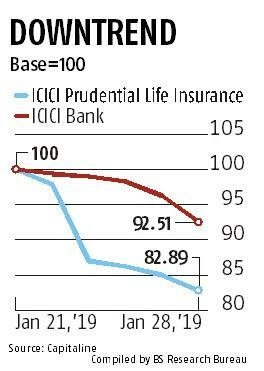 While I-Pru Life stock was down 2.5 per cent, ICICI Bank’s shares fell about 4 per cent. Analysts say while a large part of the news was already factored in, Thursday’s development came as a blow as it cast doubts on the bank’s corporate governance practices. What further disturbed investors is that some of the current top brass of the bank and its subsidiary are also named in the FIR. Since Sandeep Bakshi, the bank’s current MD & CEO and NS Kannan, MD & CEO, ICICI Prudential Life Insurance (I-Pru Life), were part of the lending committee when the loans were extended, their names have been included in the FIR along with other former employees of the bank. On condition of anonymity, a fund manager said that until the current top management is cleared of charges, the two stocks may remain under pressure. “Given how the ICICI Bank stock has rallied lately, large investors may choose to book some profit on the stock and re-enter once the current management is cleared of all charges,” he added. In addition to CBI’s charge sheet, there is also the ongoing investigation by the Srikrishna Committee to probe conflict of interest charges against the bank’s former MD & CEO. With the final report likely in a week or so, analysts expect ICICI Bank and its subsidiary stocks to remain under pressure. For now, the Street is not factoring any additional financial pain for the bank due to these investigations. Loans to the Videocon group were classified as non-performing asset a few quarters ago, and the same has been adequately provided for. This, therefore, minimises the need for fresh provisioning unless new issues emerge from the investigations. 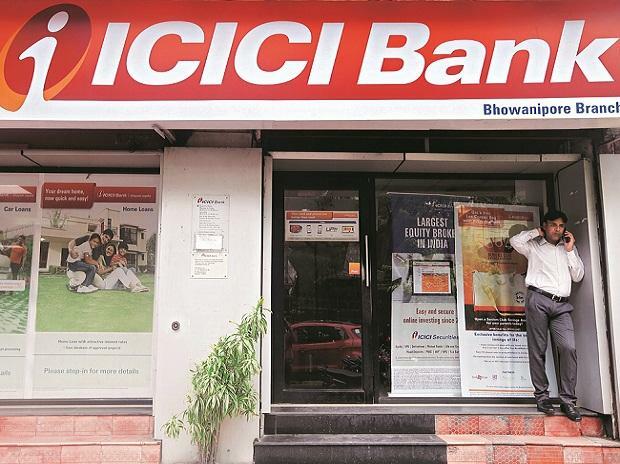 As for investors, particularly minority shareholders, analysts feel that ICICI Bank’s widespread shareholding should insulate them from sharp stock price movements. Based on the December 2018 shareholding pattern, foreign portfolio investors hold 43.7 per cent stake in the bank while mutual funds and insurance companies hold 26.7 per cent and 17.9 per cent, respectively. Compared to peers such as HDFC Bank and Axis Bank, non-institutional (mostly retail) shareholding is significantly less in ICICI Bank at 7.1 per cent (versus 11-12.65 per cent for peers). With the results on Wednesday, the stock will remain on investors' radar in the near term.